Looking for maine books? Biblio.co.nz hosts hundreds of of the finest online book stores and booksellers, including specialists in maine. Use the list below to locate a specific specialist bookseller or book store near you. 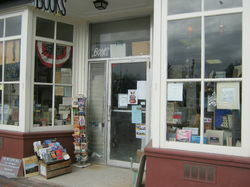 Or, use the form below to search the inventory of all booksellers who specialize in maine. We invite you to browse through the approximately 1800 books we have listed on-line on a wide variety of subjects, including strong holdings in Maine history and literature, lumbering, the North Woods of Maine, and Eastern Woodland Indians. We\'ve been in business since 1975.We have recently closed our book shop in downtown Bangor, after over twenty-five years of running a general antiquarian book shop. We plan to be adding to our on-line stock in the near future from our inventory of over 15,000 old and rare books that have never been listed on-line.